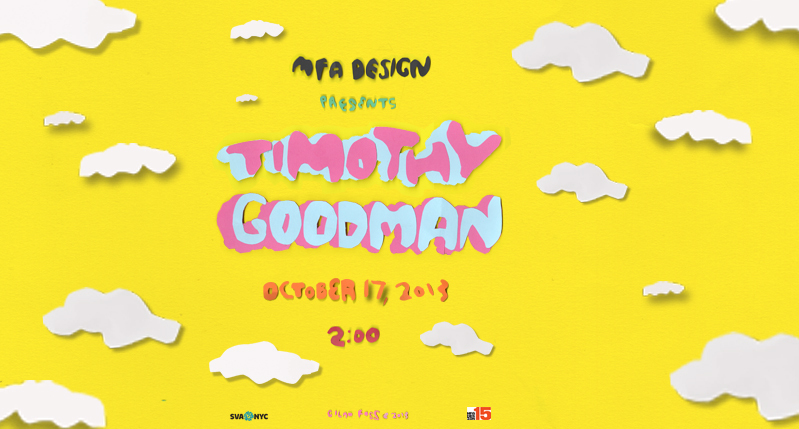 Today’s special guest lecturer, Timothy Goodman, is a designer, runs his own studio, working for clients such as the New York Public Library, Airbnb and The New York Times. He worked in-house at Apple Inc. where he helped integrate Apple’s visual language across third party environments, retail stores, events and campaign launches. 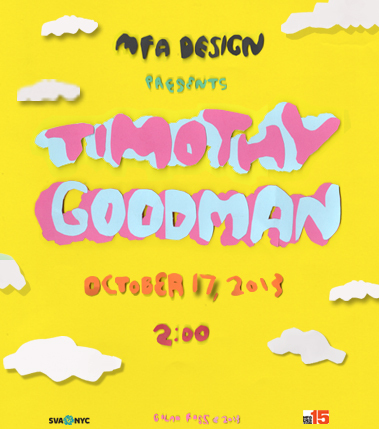 He was a senior designer with Collins, where he worked for clients such as CNN and Microsoft. In March, Jessica Walsh and Goodman, friends for years, each with different relationship histories, decided to date each other for 40 days (“40 Days of Dating”), documenting each step, asking their friends to contribute creatively to the online project. Their experience has received countless hits online, and has been hit-up to be a made into a motion picture.